Very ,very nice . Congratulations . 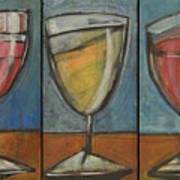 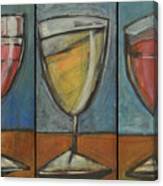 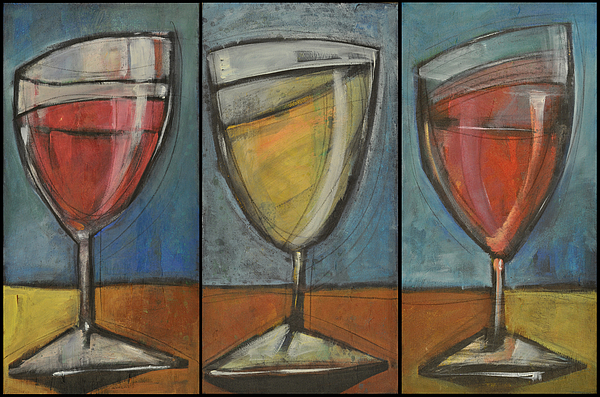 "wine trio" was painted as a triptych with two reds and a white. 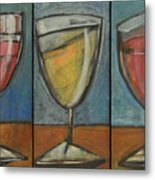 you can purchase the triptych as one piece here, or the three separate pieces elsewhere on this site and hang them side-by-side.